This is one of the top selling card tricks of all time! 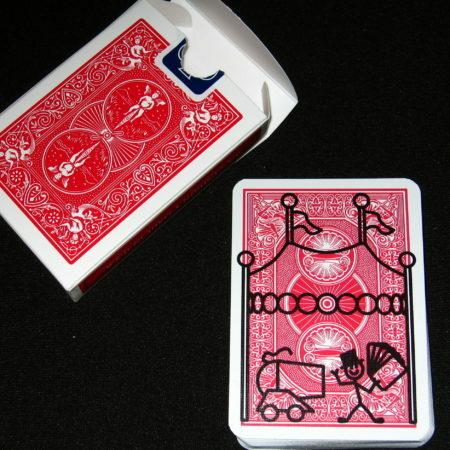 Show a deck of cards. 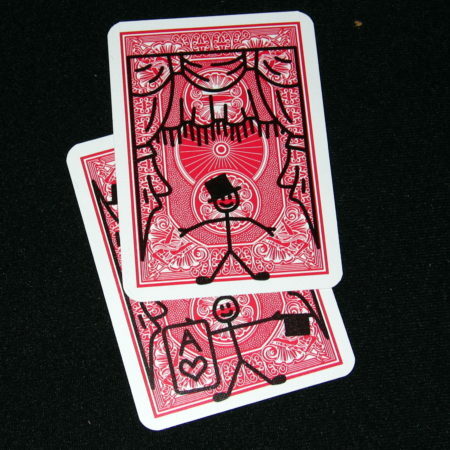 Drawn on the back of the top card is a stick figure of a magician, wearing a top hat. A spectator names any card. No force. No fooling around. 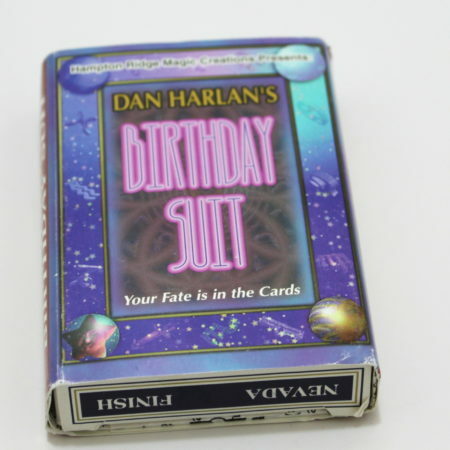 They just name any card. The named card is removed and placed face-up on the table. 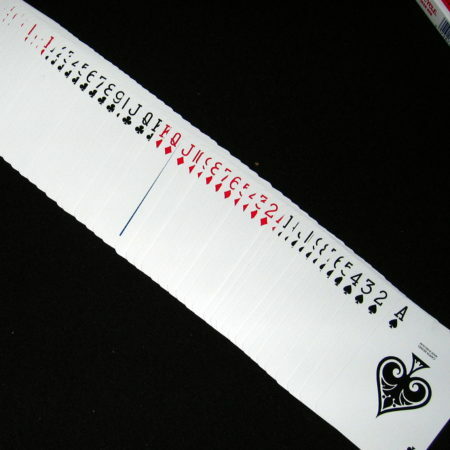 The end of the deck is now riffled downward with your thumb, like a flip book. 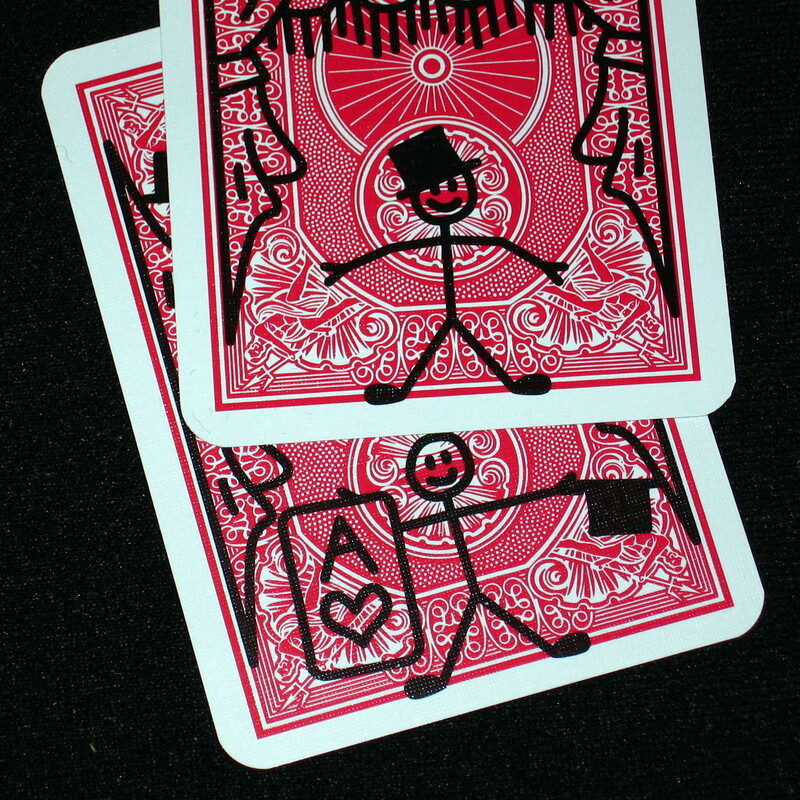 As the cards are riffled, the stick figure becomes animated. 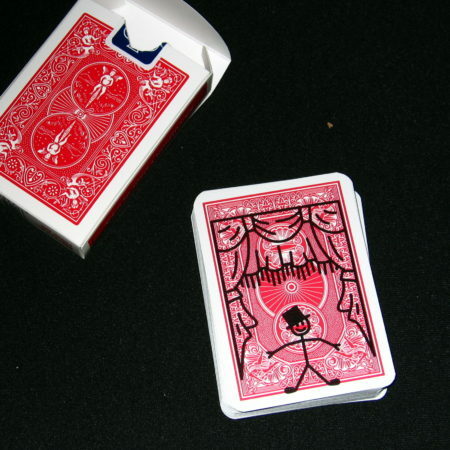 He removes his top hat, places it on the ground, and removes one card from the hat. Of course, it is the selected card!! There is No Forcing; No Switching; No Rough and Smooth; No Svengali Principle; No Sleights. 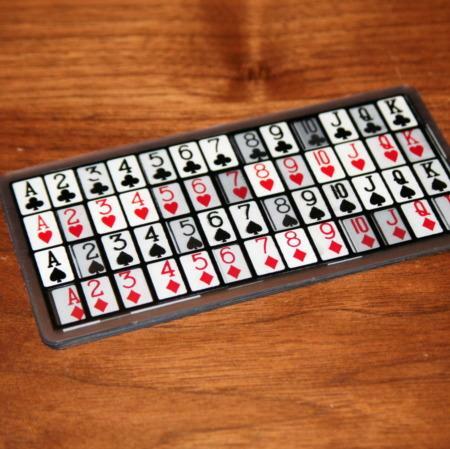 And, it can be repeated immediately, with any card! !